Now that we are seeing beautiful spring afternoons out here at Lynwood with daylight saving right around the corner it’s well and truly time to get your game into shape with some regular late afternoon practice and play a few late holes. Last month, we saw a focus on PUTTING across our social media accounts. This month we will focus on BUNKERS and try to improve our understanding of how to play a short greenside bunker shot. You know those ones with the high lip and not much green to work with?? 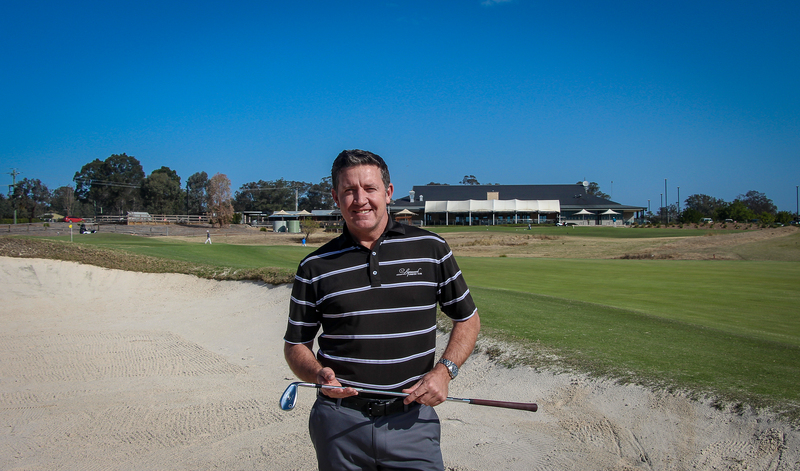 Throughout the series, I’ll throw in some video content from a recent bunker shoot with Australian Golf Digest T.V and also provide some wegde-ucation for those needing to understand the job of a sand wedge based on its design. To start with a couple basics it’s probably best to understand that unlike regular iron shots and fairway bunkers where we’re trying to hit the ball first, greenside bunkers require us to impact the club into the sand a couple inches or two-four ball lengths behind the ball (depending on the sand). As a thought to how we move the club, it’s not a bad idea for most golfers (not all) to let the club head swing freely past the grip at the bottom of the swing exposing the bounce of the club. The bounce is the bottom back half of your W, SW or LW. Sometimes we see different versions of bounce angle like in the pro shop with some of our current stock. It’s not a bad idea if you’ve never experimented with your wedges to be fitting depending on your angle into the ball. In wedges they normally classify the two variables as sliders (shallow) or steep (diggers) depending on the depth of your divot. Low, medium and high bounce offerings can help, but nothing beats sound technique and a good understanding of the game.